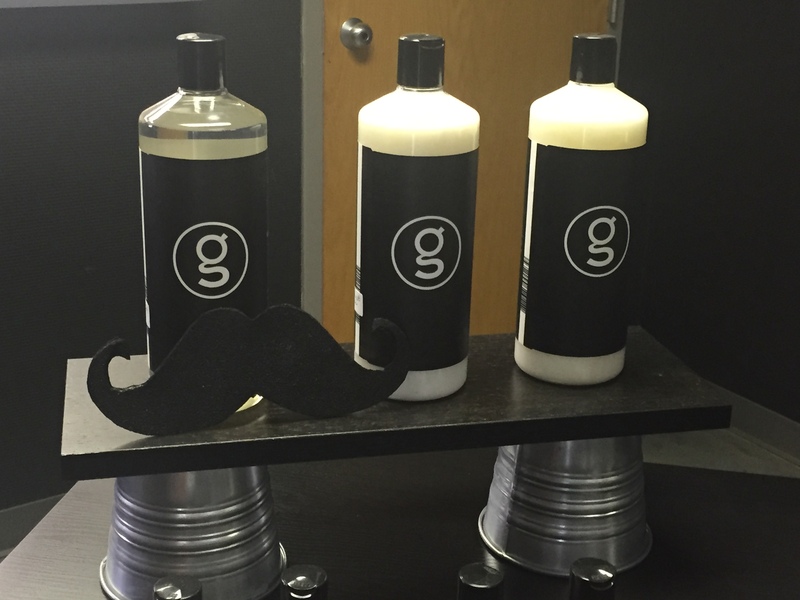 It is Movember, and during this month we will feature some of our Gage products for men that we sell here in the store! For this first spotlight, we will feature both the Daily Shampoo and Daily Conditioner. What makes the Daily Shampoo special is the fact that it is designed to cleanse the hair and scalp by gently removing oils and any residue styling acids; without all the perfumes and “feminine” scents. The Daily Shampoo is gentle enough for everyday use, and gives hair a fresh masculine scent. At Amber’s we sell all three sizes of the Daily Shampoo: the two, eight and thirty-two ounce containers. The Gage Daily Conditioner works hand-in-hand with the Daily Shampoo in that it helps to energize the hair and scalp. The Daily Conditioner contains eucalyptus globulus leaf oil and peppermint oil to help hydrate the hair and scalp; but don’t worry, it still provides a fresh masculine scent perfect for everyday use. Like the Daily Shampoo, we sell all three sizes of the Daily Conditioner. Stop in to Amber’s today to get one of our quality low-priced haircuts, or buy a few Gage products for yourself. Or, if you are looking for a great stocking stuffer for a loved one, pick a few of our two-ounce bottles up. Walk-ins are always welcome or feel free to call us at (765) 284-2205.